Roger Federer’s history of tennis championships is unparalleled, just like his main sponsor Nike’s commitment to their athletes. 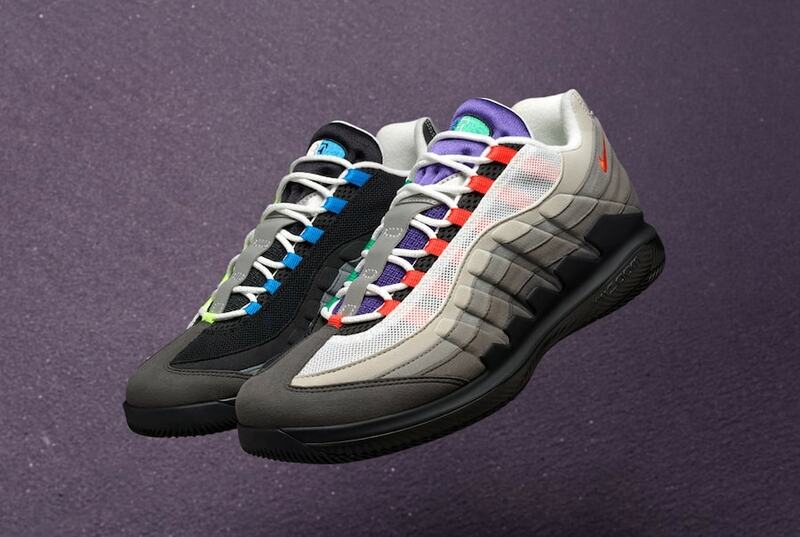 For their next release, the two are combining Roger’s NikeCourt Vapor RF with the famous “Greedy” Air Max 95. 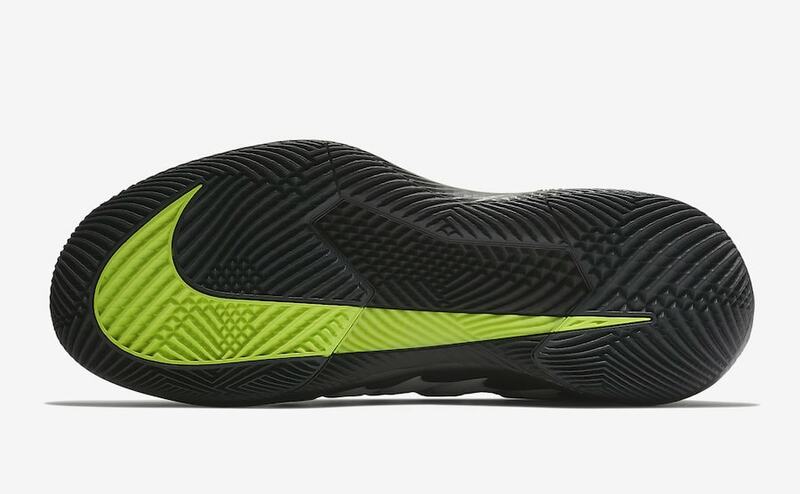 Roger Federer and Nike’s longstanding partnership has seen multiple world championships by the athlete, and many progressions of Nike’s famous equipment. 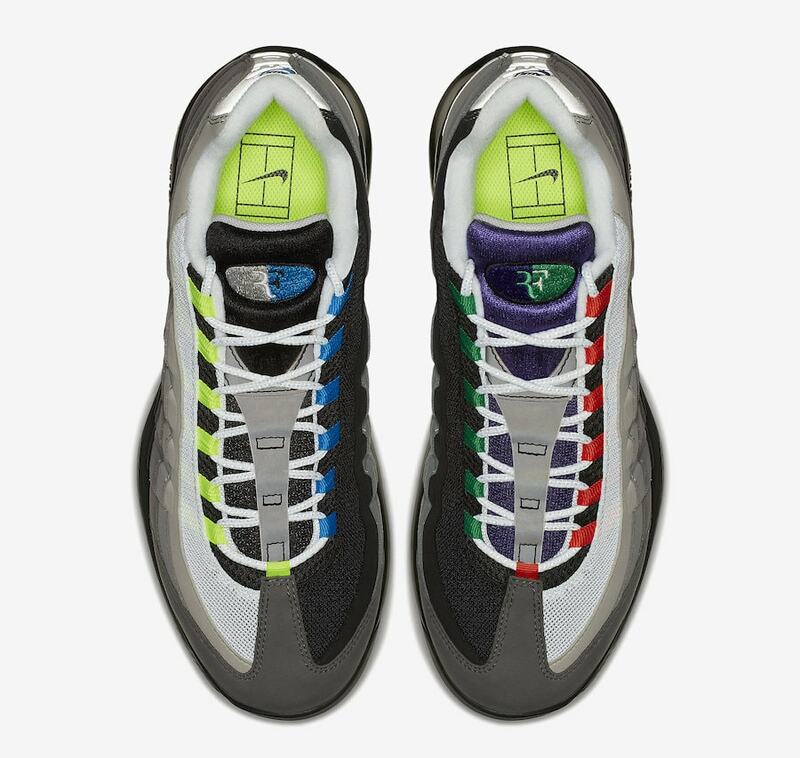 Now, the duo is combining Roger’s current on-court signature model, the NikeCourt Vapor RF with the Air Max 95 in the “Greedy” colorway, which sees four classic stylings of the AM95 spliced together to create an all-around favorite. 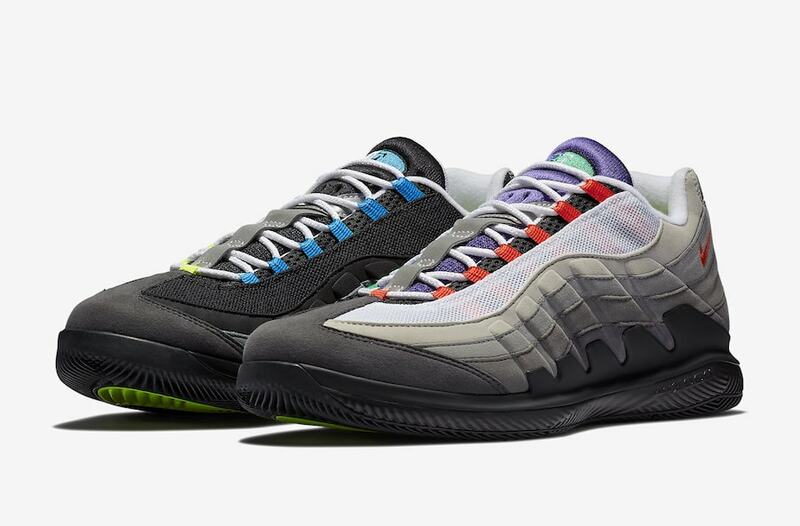 The shoe combines aesthetic elements from both sneakers, altering the original construction of the Vapor RF to look like the 95. The plain black midsole is taken from Roger’s signature shoe, while the upper has been covered with a layered suede to mimic the waves of the coveted Air Max. The reworked lace eyelets are covered with a mesh overlay and the mudguard assumes a similar shape to that of the Air Max 95’s. 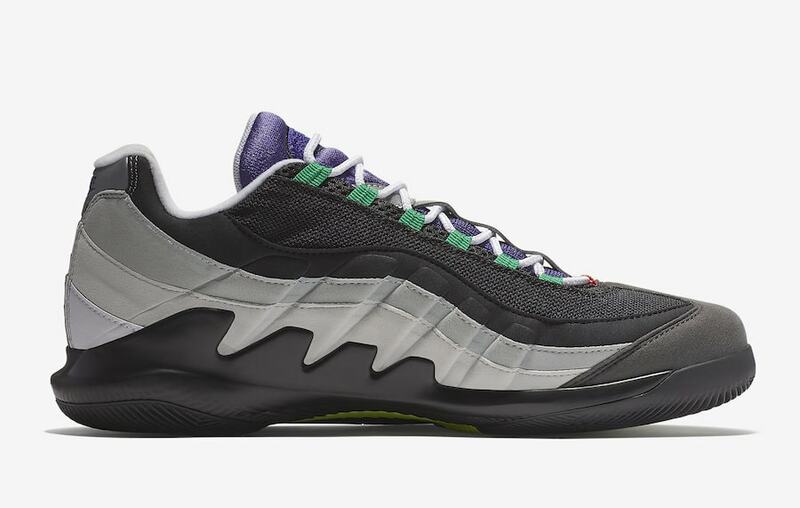 The “Greedy” colorway sees the lateral side of the upper in shades of grey that fade to black at the sole, with the medial side in black paneling with grey running through the middle. The detailing on and around the tongue comes in a mismatched variety of colors, including red, purple, blue, yellow, and neon green. 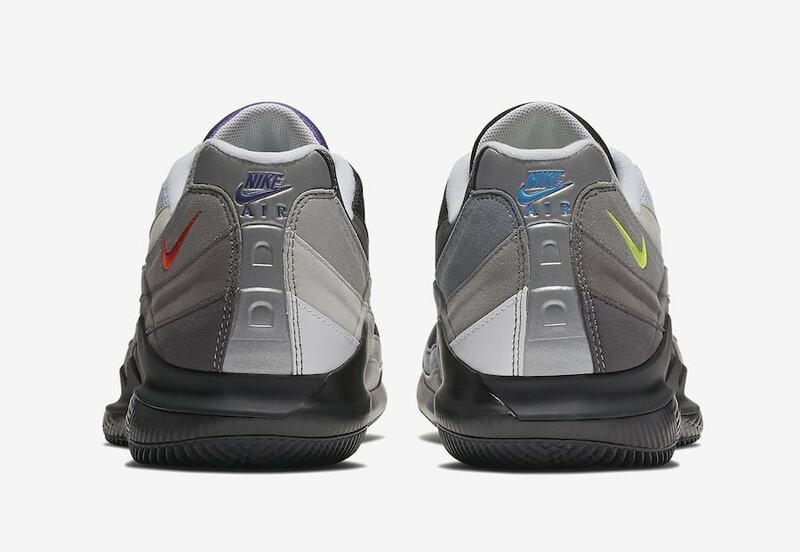 The small Nike Swooshes and Nike Air branding around the shoe also take on random hues. 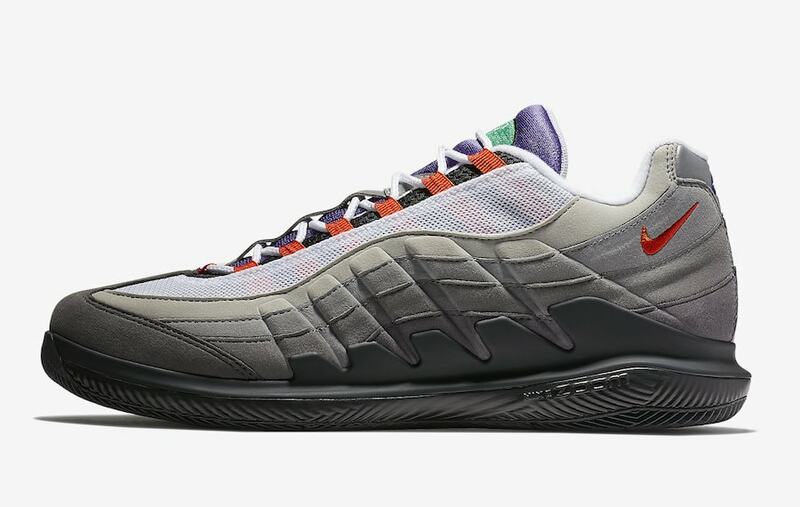 The latest addition to Roger Federer’s on-court lineup of classic Nike mashups will release on March 20th, 2018, just before Air Max Day, and is set to retail for $180. 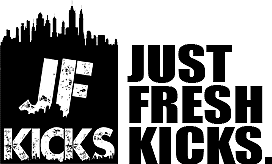 Check out the official images below for a closer look, and stay tuned to JustFreshKicks for more updates.